The spirit of weapons history is captured by legendary replicas like the C96 offered by Umarex. This simulation of a historical, German firearm is a semi-auto 19-round replica with a realistic live-fire bolt cycle. Its magazine drops free for easy loading and it has an elevation adjustable rear sight found above the simulated wood broom handle grip that gives this gun it’s unique look. This single action airgun generates 380 feet per second at the muzzle from a grip-concealed 12-gram CO2 capsule. 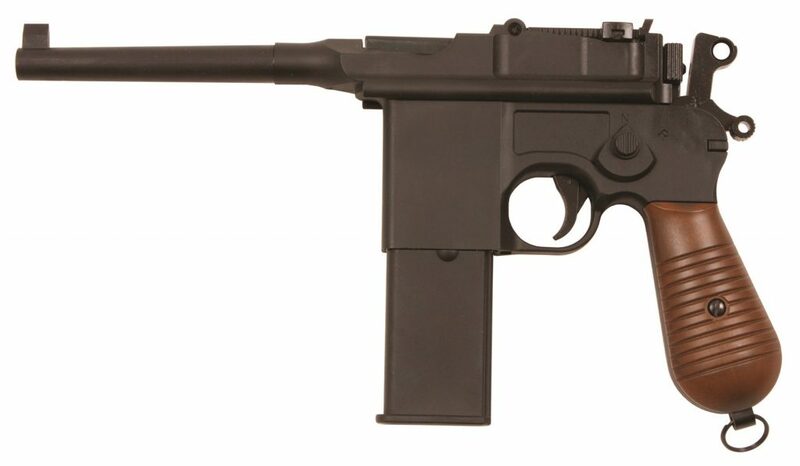 The blowback action on this C96 CO2 pistol functions as it does on the firearm. The only thing that moves is the bolt.